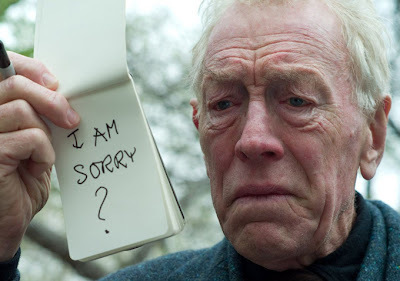 LabuzaMovies.Com: What Do YOU Think, Max Von Sydow? If you are in New York the next few weeks, the wonderful people down at BAMcinematek have put together a retrospective of the Swedish superstar Max von Sydow. So over at The Playlist, I have a patented listicle of my favorite performances he gave. Not as many obscure choices as I'd like (a lot simply remains unseen in my book), but the ones I do have are all excellent. Also, BAM is showing them all in 35mm, so unless you hate movies, you better go support their endeavor. And read my article here! Also returning is another installment of The Disc-Less. With Hitchcock ruining the legacy of the cinematic giant, and The White Shadow streaming, I listed five great British films you won't find on DVD, including films by Terrence Davies, Mike Leigh, Ken Russell, and the Boulting Brothers. So check that piece out over here.